1 In medium bowl, combine Hellmann's® or Best Foods® Real Mayonnaise, sour cream, honey, lime juice and grated lime peel. 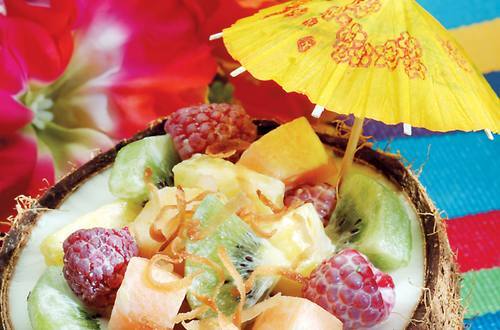 2 In large bowl, arrange fruit, then top with dressing and coconut. TROPICAL TIP: Serve in a hollowed pineapple or coconut shell for an authentic Caribbean look!